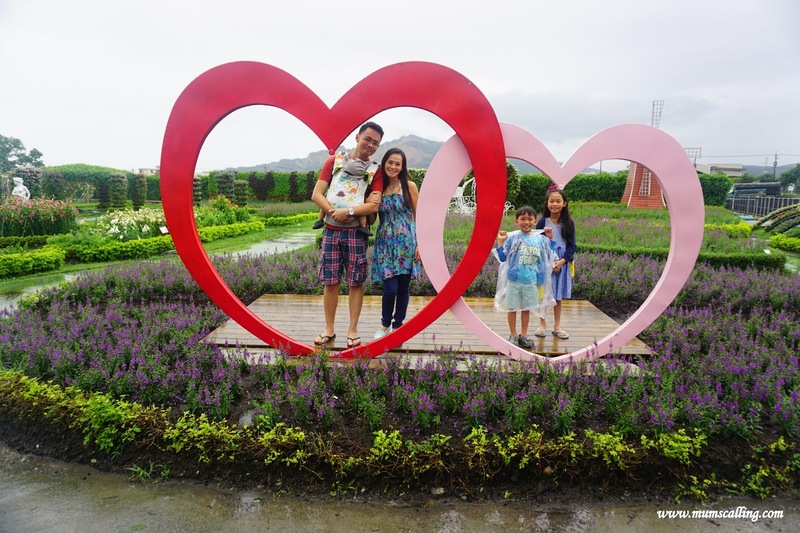 Day 5 at Taichung was really exciting for us! We covered 4 attractions within a day. It was quite well paced though. If you love flowers and photography, this is a must go! 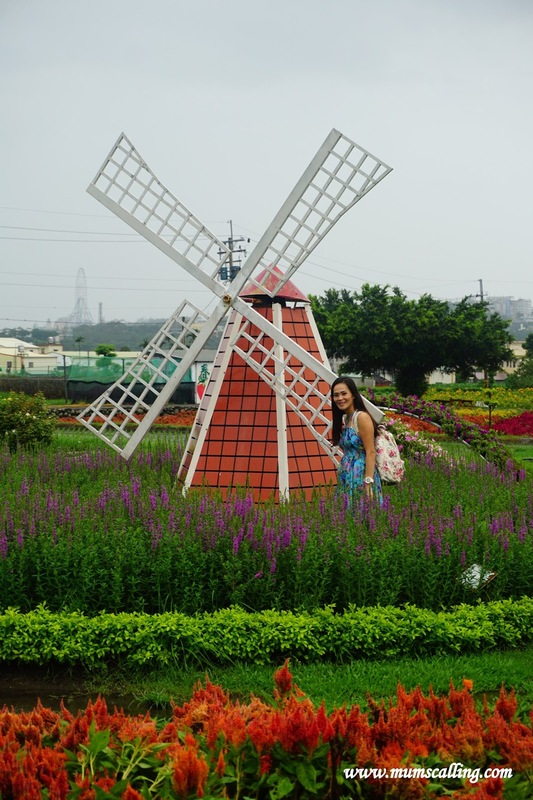 It is a very colourful place for sightseeing. 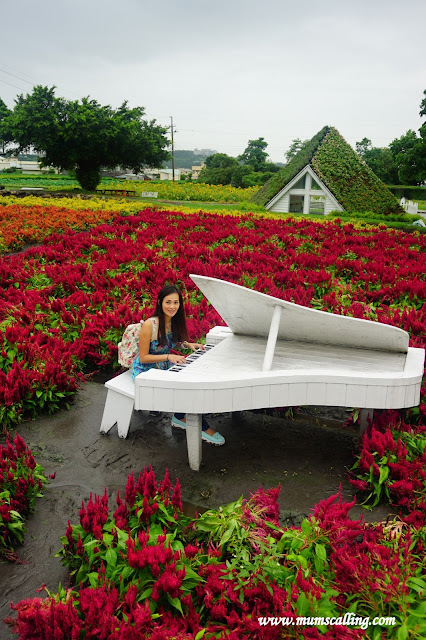 A place where we get to appreciate beautiful structures and figurines blended with nature and flowers. However, if it rains, this may be one you want to scrape off your itinerary. It will get you all wet and muddy while navigating this place on a rainy day. Slippers is then a good attire. It was slight rain on us, which we decided to proceed. Not only does rainy days wreck good photos, it makes photography inconvenient. Spot the extremely muddy ground. I had to disregard it to take my desired pictures. You can tell, I was the only model available for photography. The kids were too fussy about getting soiled. The only family picture was taken because there were raised steps, and there was an agreed deal to carry them without touching mud. Pampered kids, I know! But I will do anything to get good family pictures. 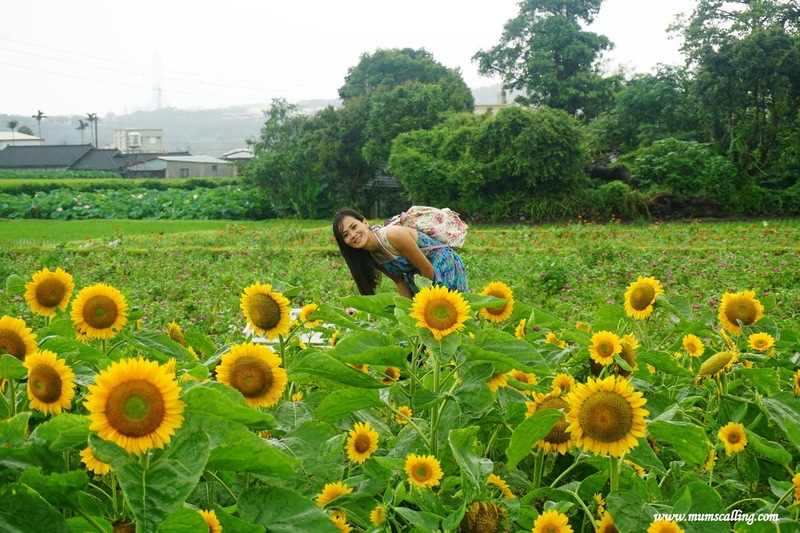 So yes, there were beautiful sunflower blooms in the month we visited, June. 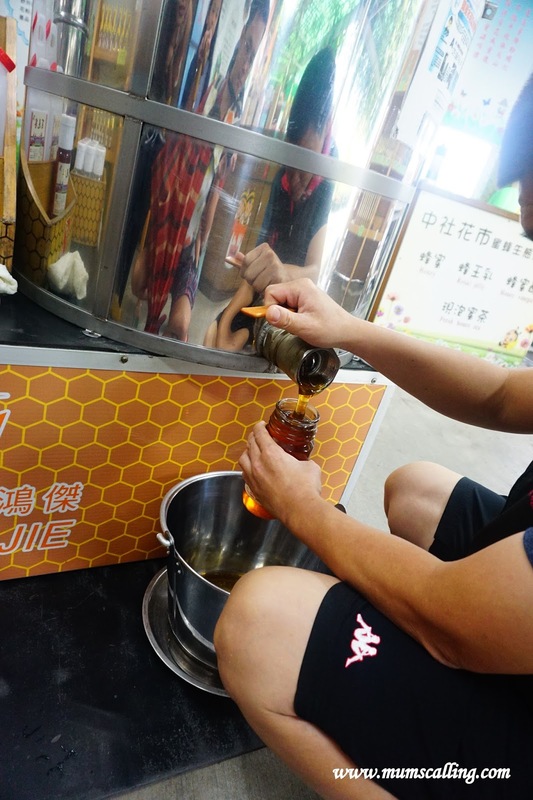 It didn't take us long in there, and while making our way out, we bought honey. It tasted really good, which we had to lug 2 bottles home. Samples will be given for tasting. 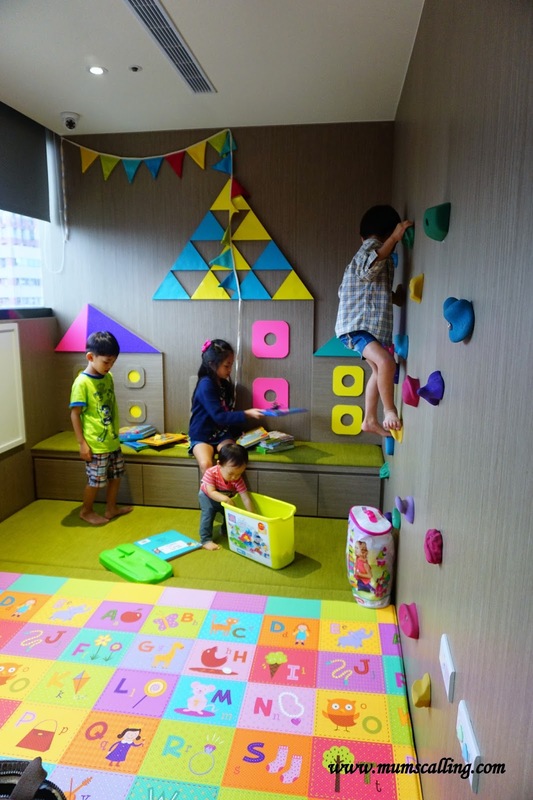 This is one place that will be fun for kids. As the name spells, everything in there is made of cardboard! It really is like a cardboard museum. Upon entry, we were given play cards to collect stamps at various stations within. Upon completion, a little gift will be given. And then there's a slide within for play. It was wet, but the boy brilliantly got on to play because he knew he was on a raincoat. In this outdoor garden is also where you can spot some extremely well fed squirrels. Caged up. If it isn't raining, you have to get on their train for a ride. Additional fee applies. 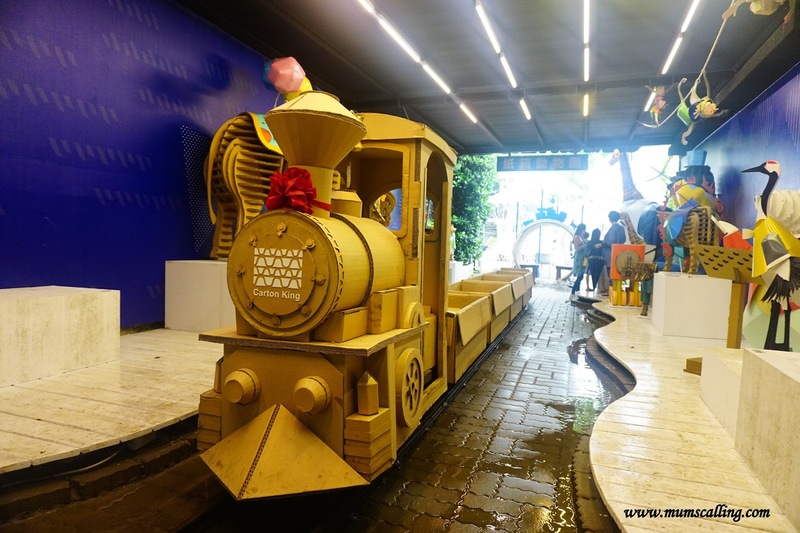 It really is a surprise to find that the train is made of cardboard too! Train service was not operating on us. Big miss for the kids! A tour within their restaurant impressed us much. 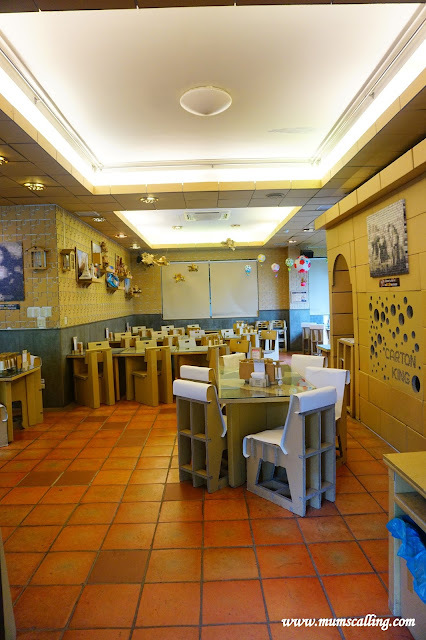 You will spot tables and chairs made of cardboard, even baby high chairs too! They do look as sturdy as wood. 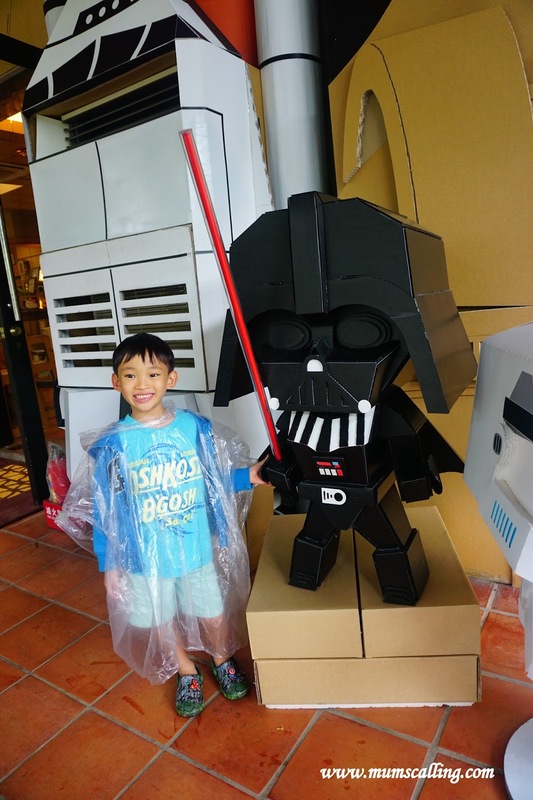 And this Darth Vader did bring some delight to the boy. Waiting bench in cardboard too! 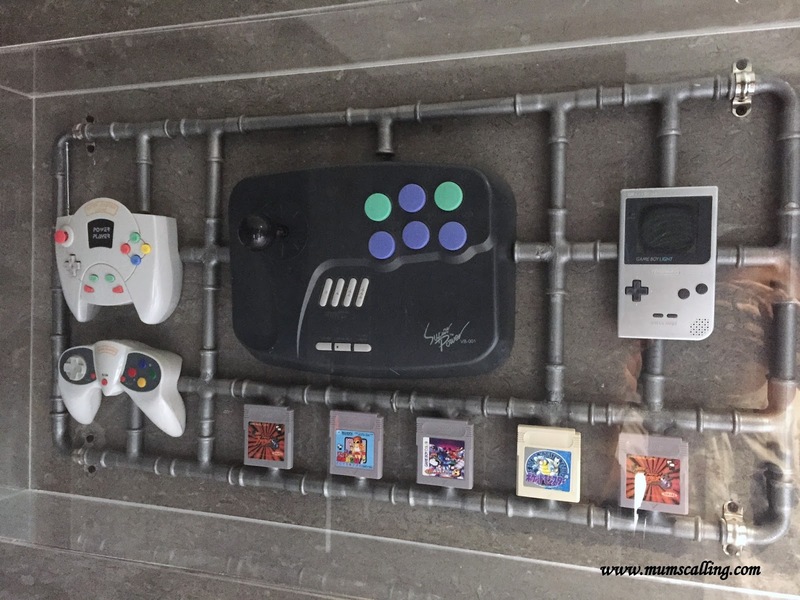 Only thing, their toilet can't get into that of a cardboard form. Their gift shop is a different kind of place to shop too. Mostly and impressively cardboard related. It is a great place to find novelty gifts. This whole place is full of fun and surprises, it is one that will be enjoyed much by both kids and adults. There is also a restaurant and snack area within, where we tried fried mushrooms at the mushroom hut. It was great tasting. It may be a good place to lunch within with their interesting range of cutlery and utensils, but we researched that their food was rather average. We moved out for lunch instead. 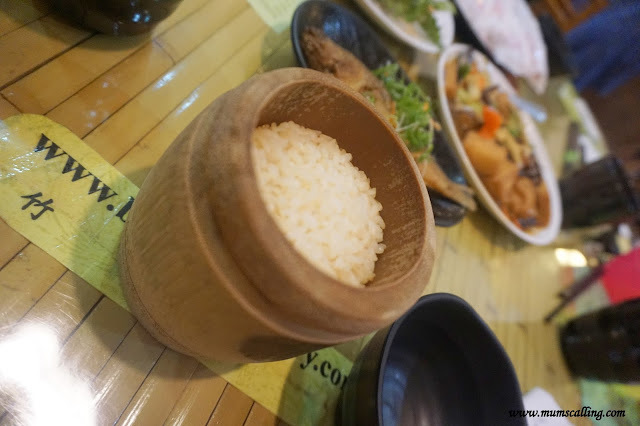 We had lunch at Bamboo-Country Restaurant, which was some good rice serve in a bamboo bowl with very affordably priced dishes. It was a very sumptuous spread without damaging the pockets. And that bamboo bowl that they served our rice in can be brought home as souvenir! It is serving as a good pencil holder for us. 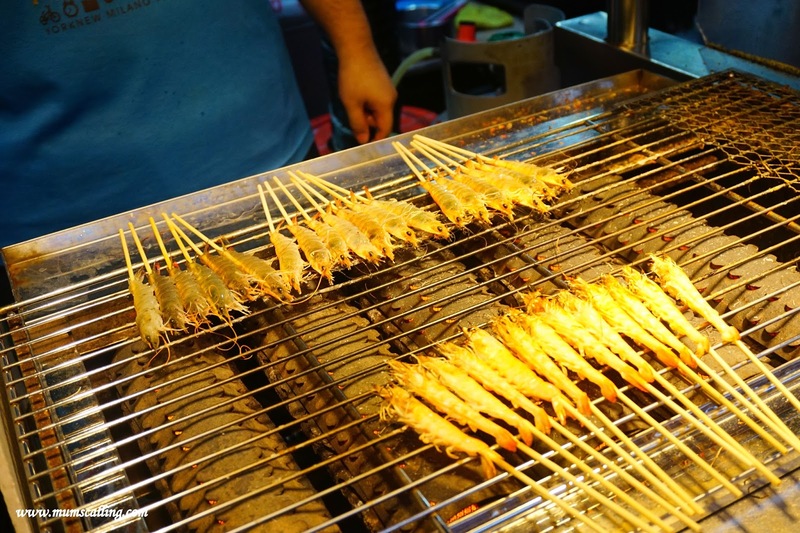 I find that their seafood isn't as good as our local restaurants, the non-seafood dishes will be a safer choice. Our original plan of doing Cingjing farm didn't workout. No thanks to the rain. If weather has been unkind, it will be good to check if it's open on the day you visit. 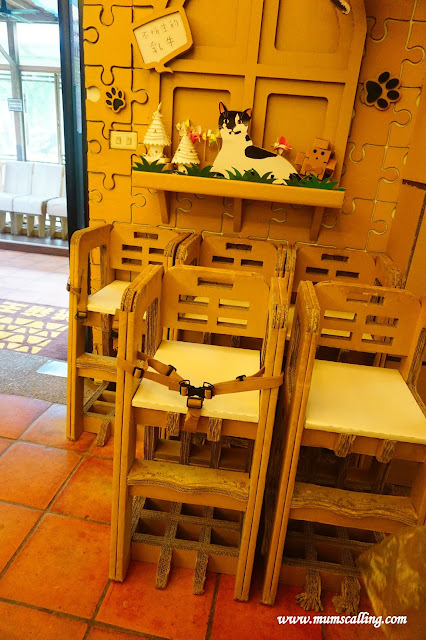 We think it will be one interesting place to go if you have kids along. Great place to view farm animals and agricultural farming. 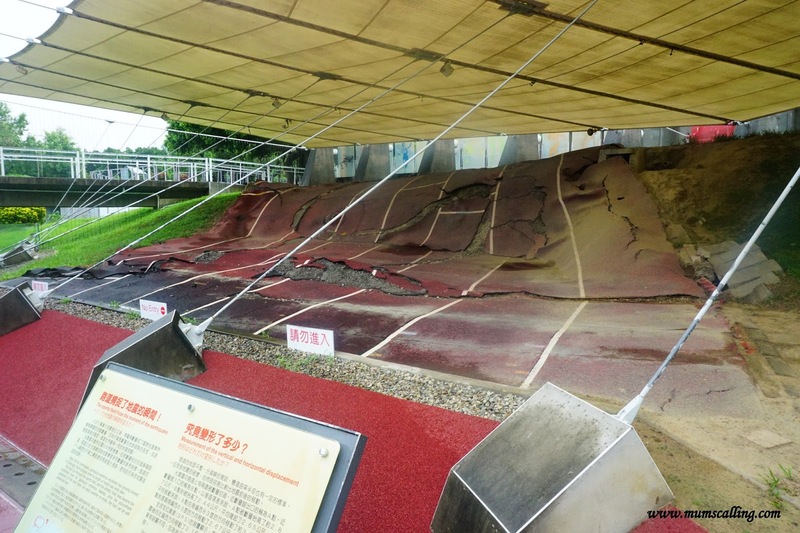 We then adjusted our itinerary to visit the 921 Earthquake Museum instead. It was with consideration to get the kids know more about Geography. Learning gets better with sights and evidence right. So yeap, the museum was an eye opener for us. 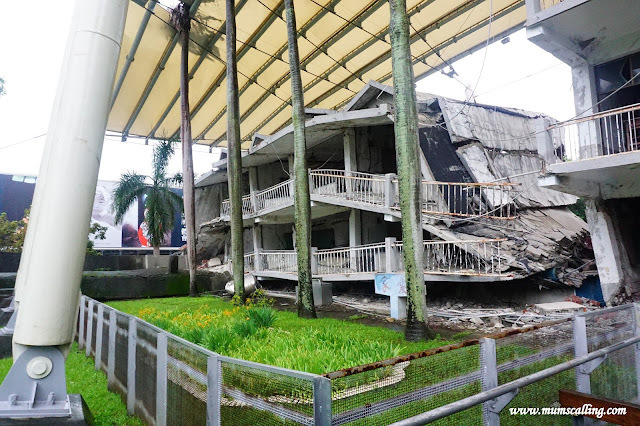 921 came about when a massive earthquake struck the central part of Taiwan on 21 September 1999. 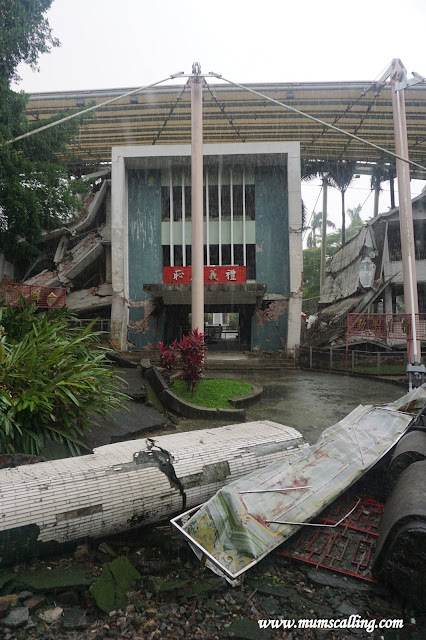 Many lives were lost, with properties and schools badly destructed in this worst natural disaster recorded. Their government preserved the aftermath and turned it into an educational museum to inform on disaster readiness. The place is mostly sheltered with some parts outdoor. A perfect fit for any rainy day. 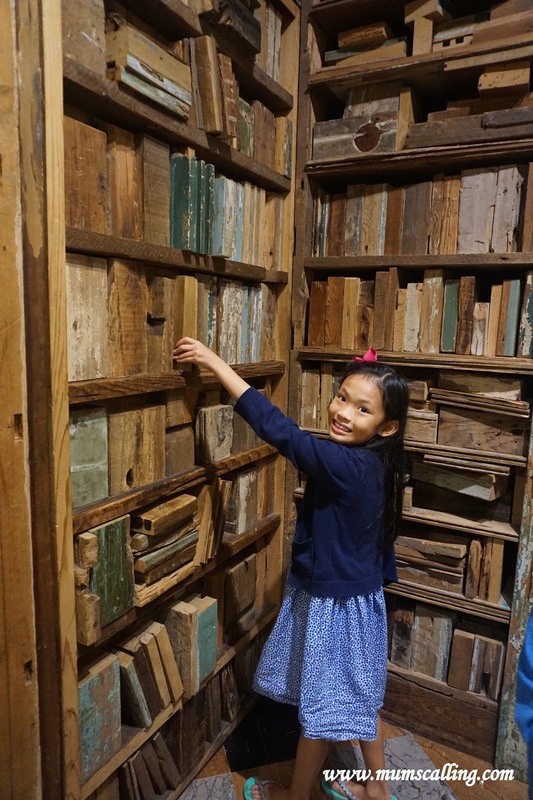 Most readings and sharing in the museum were written in Chinese and English, but some were barely good enough for kids to read, even after translation. 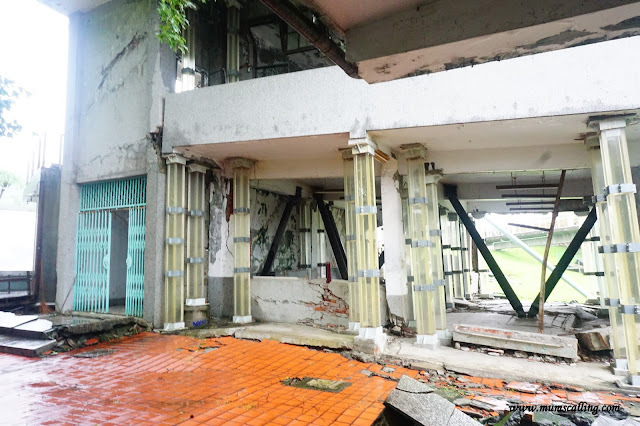 On site was a school, Guangfu Junior High that was severely damaged by the quake, and here's an aftermath of their field track that raised up to 1.2 meters high. If I recalled correctly. We had many opportunities to talk to the kids about fault lines, raised river beds, construction foundation and ethics. Yes, we witnessed some buildings built with oil tins as foundation. So unethical! It all helps much when you have a civil engineering trained husband to do the talking. 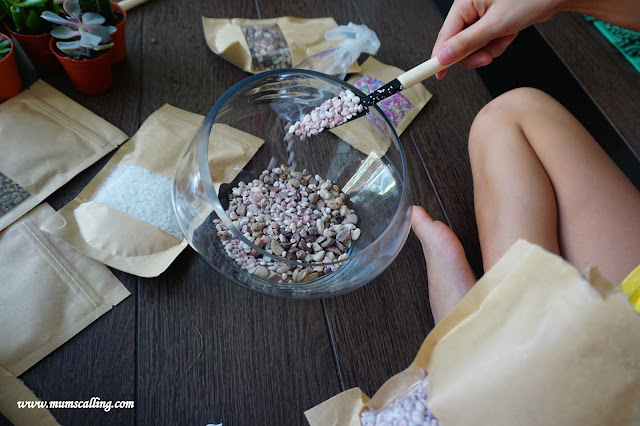 We love it that there were some hands on experiments within for kids to explore. They learnt and experimented on building the most stable building, experimented on the impact of mud slide as well as a few other fun stations. It was also interesting that they have a Quake Experience Theatre. There are limited seatings to it, so be early! 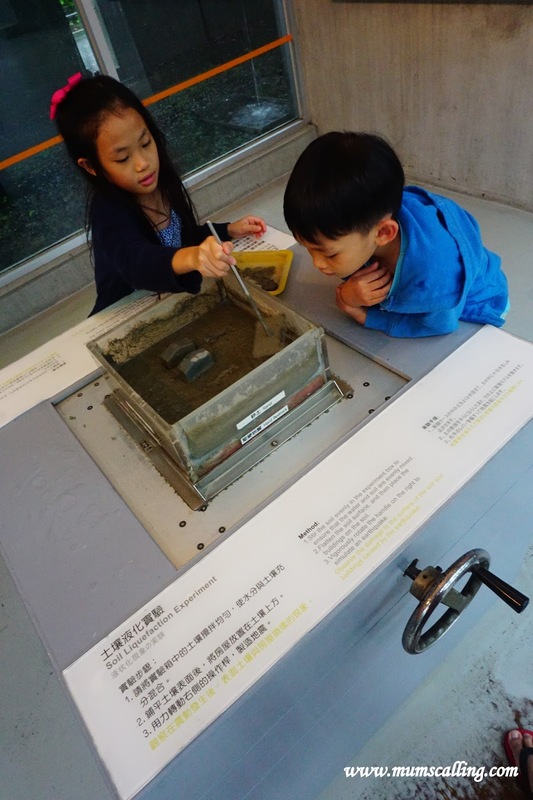 The theatre allows us to know what it feels like in a strong earthquake. It was not extremely intense and I had Juboy with me, so it was actually mild and manageable. Audiences will all be seated. And it was a good, like real experience for us to go through. There was also a 3D theater show which was rather slow moving for us. I took opportunity to nap. Heh. The kids enjoyed it though. After the end of the tour, we felt extremely blessed and thankful to be living at where we are! Disaster free. By the time we covered 3 locations, it was already near evening. We made use of some before dinner time to visit 宮原眼科 Miyahara. 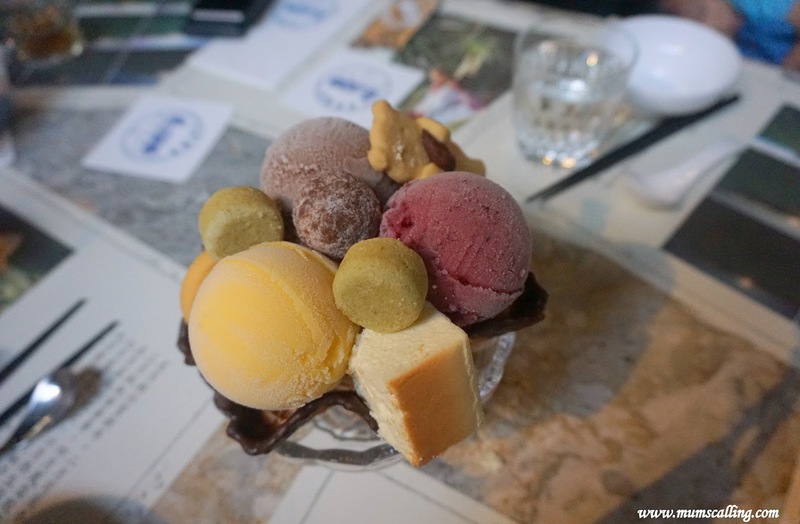 Nope, it's not an eye clinic, but a beautiful embellished place (Harry Potter feel) where you can find Taiwanese gourmet snacks and food, a place for souvenir, scoop of ice cream, high tea or even dinner. Reservation may be required if you visit on a weekend. A good place to taste their snacks will be at the restaurant on the upper level. As a patron of course. While we intended to have only snacks and ice cream, we ended up with a slightly heavier meal because there was a minimum spending per person. Good food nonetheless. 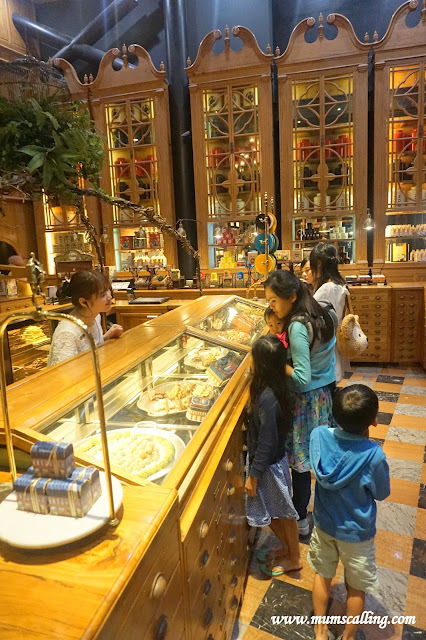 Their pineapples cakes and butter bear cookies are really good! A place where I would go back just to get cookies, if I ever come by again. 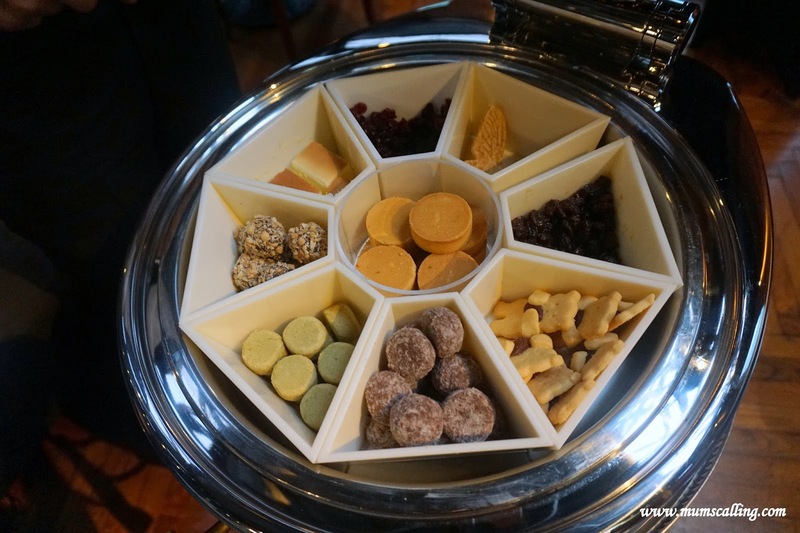 Their gift snacks are beautifully packed with novelty and some, with a nostalgic feel. 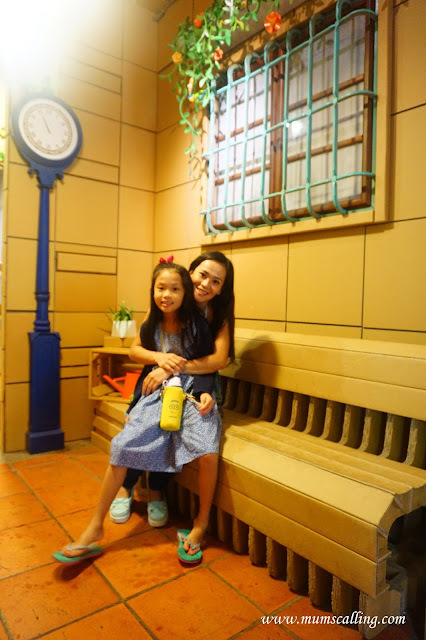 It is a great place to get souvenirs for families and friends. After moving from place to place, it was nice to finally sit and rest our bodies with some good food. Which also naturally became an early dinner for us. That ended our day and we made our way back to the hotel. 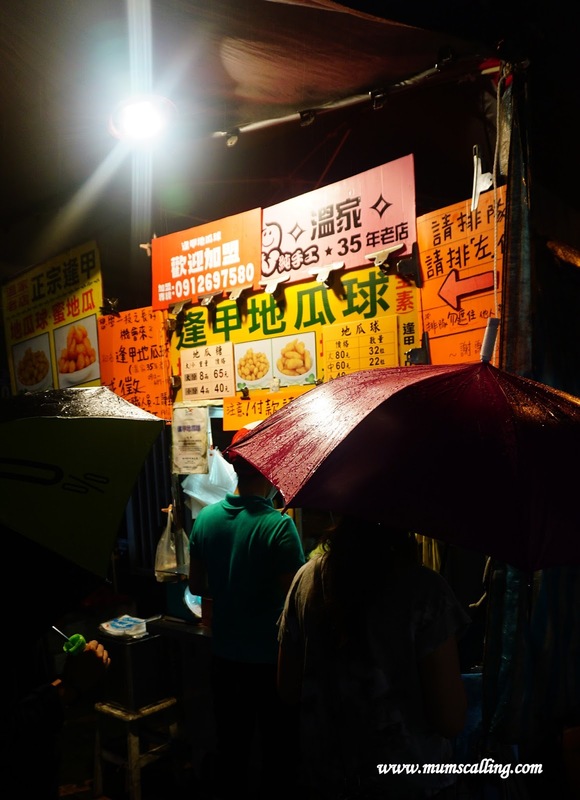 The man and I sneaked out for more food at the night market. Thankful for my Mum who stayed with the kids. After 2 nights in Tai chung, we moved on to Leofoo resort and 三峡。Next and final post! This holiday, come embark on a magical journey with Kids in Wonderland, a children’s play based off Lewis Carroll’s Alice’s Adventures In Wonderland. This 45 minutes play presented by Qiren Organisation in collaboration with Andsoforth is an interactive theatrical play with the immersive whimsical world of Alice and friends. 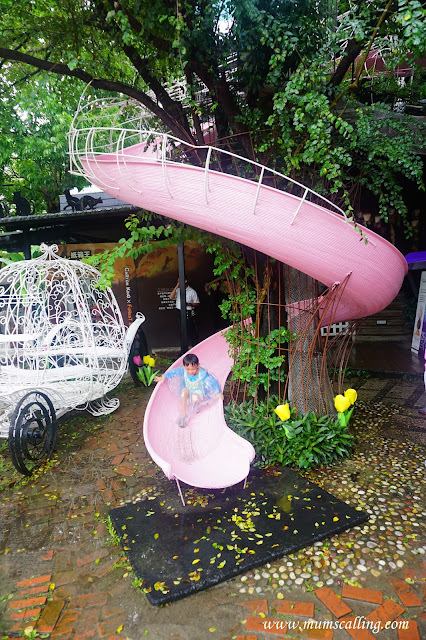 Expect to find eclectic guests such as Alice, the Cheshire Cat, The Mad Hatter, the White Rabbit and many more! Go through 5 uniquely designed areas and explore the wonderful world of Wonderland. Go down the rabbit hole, decode riddles and play Hide and Seek with The Cheshire Cat, have tea with the Hatter, March hare and Alice, learn to Waltz with The Queen of Hearts, and enjoy vivid storytelling by The Caterpillar. 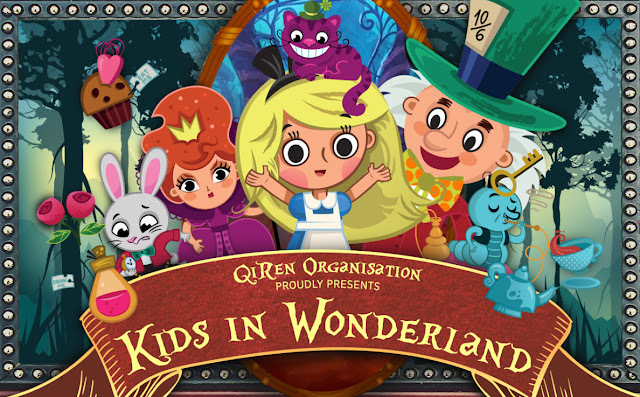 Set in a world of fantasy and enchantment, Kids in Wonderland creates an immersive experience filled with activities for children two years and up. This play teaches children the importance of friendship and getting them to work together as a team. Join Alice and friends today, for a world of fun and surprises! Here's one we reviewed when we caught it last year. Do arrive 30 minutes before show time for some interactive moments with the characters. There will also be photo taking opportunity with the characters after showtime. 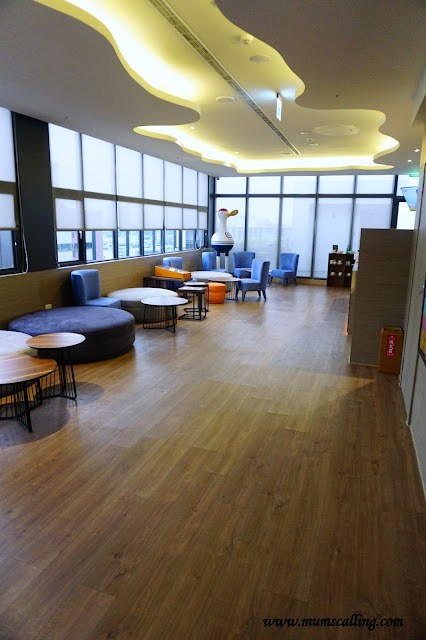 Location: 9 Tampines Grande, Level 2 Hitachi Square, S(528735) Singapore, a Site Specific space transformed for interactive, immersive theater. 3. Tag 3 friends on this Facebook post whom you think will love this play! This flash giveaway will end on Wednesday 22 Nov 17, 2359hrs. If you have got that green fingers, and don't exactly have a huge garden space for plants, terrariums are perfect. We love having greens indoor, and terrariums fit the bill well. It is a fun hobby that both grown ups and kids love! Masons home decor sent us 2 sets of terrariums, which is looking great on the kids' desk. Great for those eyes after some reading and writing. 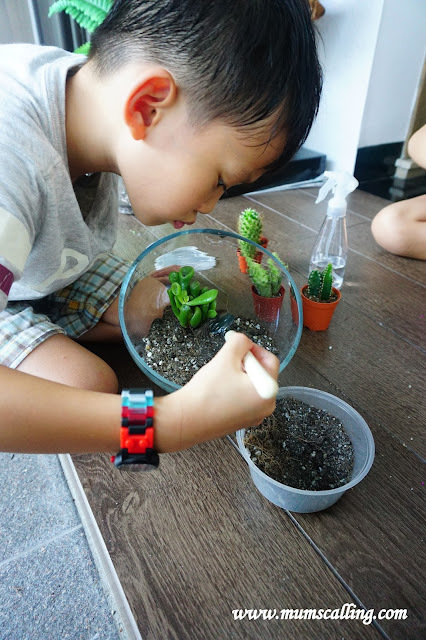 We did think terrariums are some easy to build mini gardens, but they are not exactly as easy as it seems. It involves much patience in building one. 1. Prepare the container or jar: Wash the jar thoroughly to ensure no other pollutants or residue affects the health of the plant. 2. Add the drainage layer. Since there are no drainage holes in your container, this drainage layer will help by not flooding the plants. Large pebbles are good as drainage layer. Build up to about 2 cm in height. 3. Add activated charcoal. This reduces any fungi or odours within their world. We omitted this step as we think it probably will be fine in our opened container. This may be essential if yours is a closed terrarium. 4. Add soil. Ensure that there's plenty of room for the roots to fit and grow. 5. Plant! Take the plants out from the pots and break up any hard soil until you are down to the roots. This is a process that must be gently handled as the plants can be really fragile. They break up upon every rough touch. 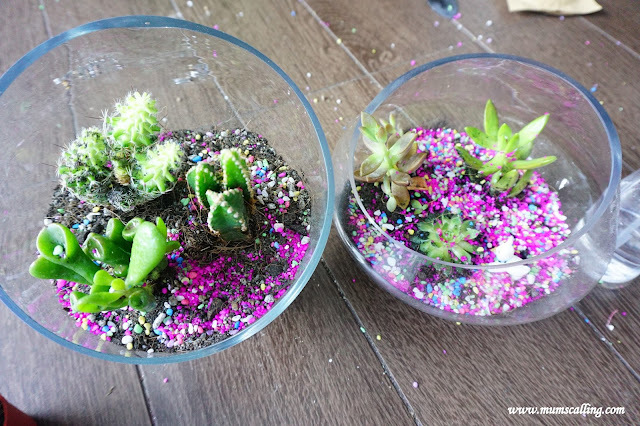 We used succulents and cacti. Dig and make space in the soil for plant, then cover up firmly. It is fine to trim any long roots (root pruning) if needed, they'll grow back. 6. Add accessories. This must be the kids' favourite part. You may decorate the top layer in any way you love! With figurines, small colourful stones, small toys or whichever you think is appropriate to get on. 7. Water and clean. Spray bottles are perfect for watering the plants. However, they do not need much water, unlike outdoor plants. Remove any dead or wilted leaves to maintain a healthy eco-system. These were what Js planted themselves with little intervention by their Mama. Looks kinda messy to me, and each time I look at them, I felt like some major tidying needs to be done. But the layers just get all mixed up with every attempt. Oh well, beauty lies in the eyes of beholder. Terrariums are wonderful projects for kids. They teach patience in the process of creating, and it cultivates responsibility in the after process. There are wonderful values out of it! And of course, I love the building bond I had with the kids. An all prepared and easy to create set is available at Masons home decor. 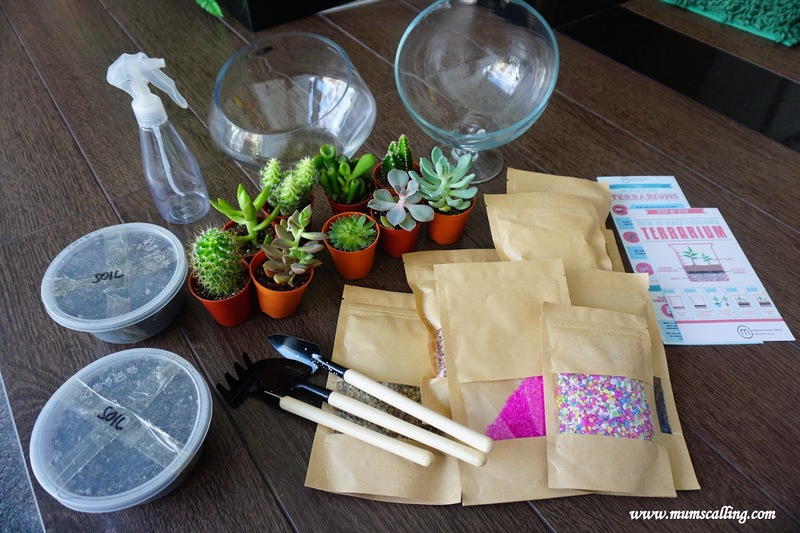 It comes with all you need to build a terrarium, including some simple instructions. We think these make great gifts! You may check them out for other interesting home decoration pieces too. For fresh flowers, you may check out their online florist, Farm Florist, which is also under their arm. It is most exciting that Masons Home Deco is giving away, not terrariums, but a CHRISTMAS TREE!!!! Along with 2 sets of BAUBLES and STRING LIGHT of course! Ho ho ho, we love this season of gift giving. 3. Gain additional 2 entries by following us on Instagram! Be sure to enter these steps in the Rafflecopter widget below as it brings you through the steps and links. Giveaway closes on 18 Nov 17, midnight. Best of luck! With a fairy door poppies 'n' rainbows sent us, we indulged in much fantasy fun with the kids. Through this wee door lies a secret passage to an enchanted land, one that is filled with stories of fairies, elves, wonder and adventure. The set, stories and casts will be up to the imagination of both parents and kids! Yes, I had to bring in my imaginative juices to play along. Poppies 'n' rainbows had also lovingly sent us the miniature steps and mailbox, which are sold separately to accessorize the door and mark up the fun. The mailbox was most useful for kids to leave in little notes of questions and requests. Which they did think fairies are like magic, making desires come through, but they probably don't know behind lies the replies of their parents. And these were what the kids requested. Jare asked for a transformer toy, a dragon and a phone! Jazz pried more into the world of fairies, she asked if "we" had a toy factory and a zoo. And she asked to come through the door to meet "us!" Challenging our creative replies. I know Jazz has gone beyond the stage of believing in fairies but I love it that she gamed along with us! It was a fun breather for her during the exam period. Honestly, I did enjoy this part of play and I tasked our man to pick up and give replies too. It is a good play to get everyone involved. Marvel at each others requests and replies. Which at this moment, I am unable to find where they kept our replies. A sign that they treasure such play. Or maybe, they will bring them to confront us when they have outgrown such play. 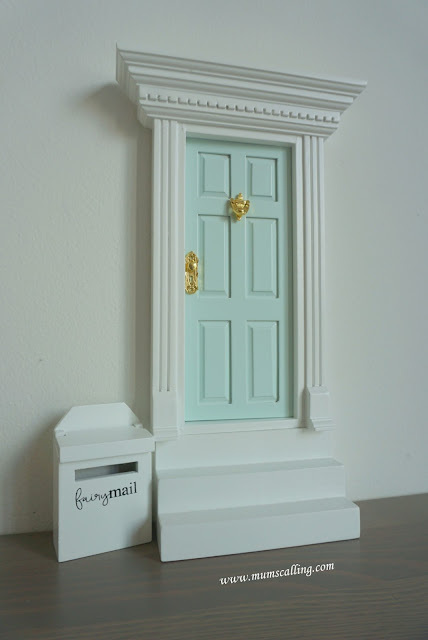 We don't check into the mailbox daily, but when a mail comes in, fairy dust (glitter) will be sprinkled on the steps or mailbox to show that a new mail is in! Yes, fairy dust and a tiny key comes with the door. You can hear the kids' scampering feet, yelling across rooms "Jie jie, the fairy replied!" It is such a joy to witness. 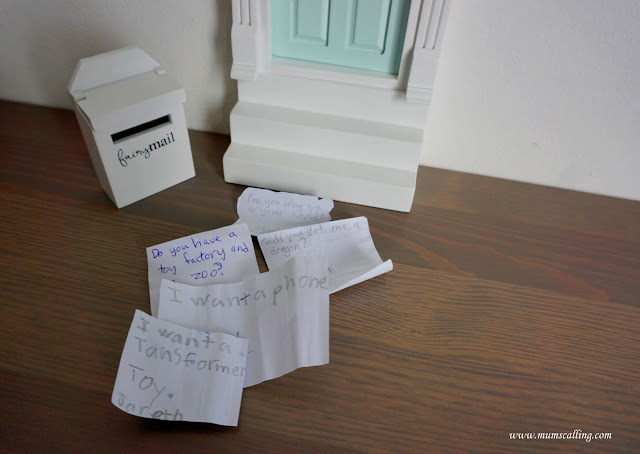 This whole toy concept is also a good parenting tool to leave notes of affirmation or encouragement for our kids. 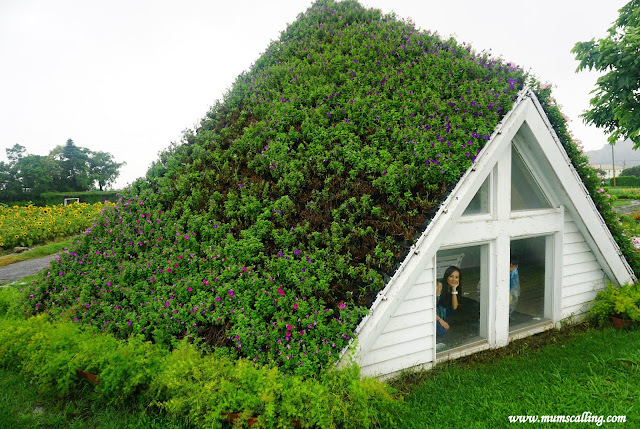 It is can be good place to surrender their tooth for the 'tooth fairy' to collect. Or whichever fun you can think of within the family. 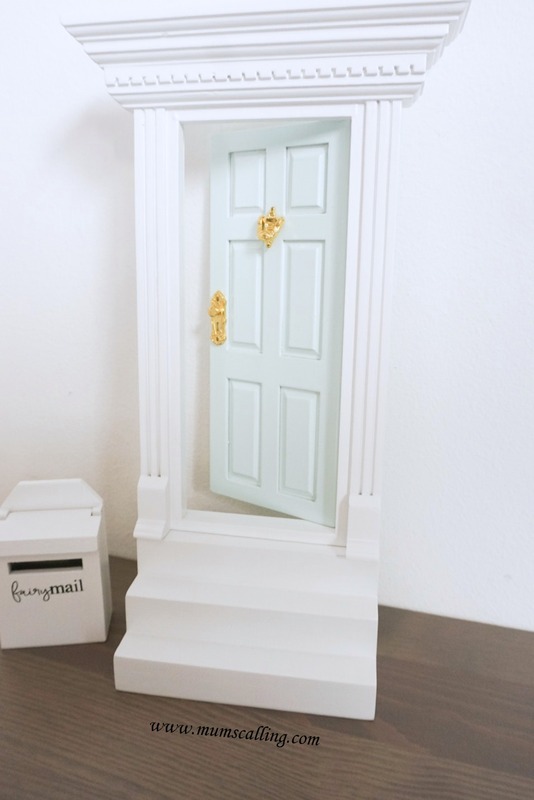 This fairy door is priced at $39.90 and available in various sweet colours. It is made from wood using non-toxic paint. It is good to go onto our wall with a 3m poster strips or double sided tape. It is tiny-ly measured at 140 x 20.3mm. Poppies 'n' Rainbows is a children's concept store, showcasing fabulous independent children's brands, many of which are created by mothers themselves, and tried and tested by their own children. Expect to find apparel, toys and items for the nursery. Shop Poppies 'n' rainbows with a 15% discount code '15%TODAY' for all first time purchase. Code is valid till 31 December 17. Free gift wrapping and shipping from now till 15 November 17! Christmas is round the corner. Happy shopping! 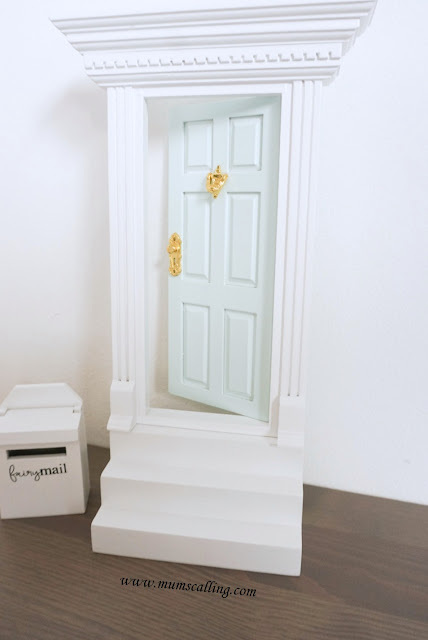 Disclaimer: Fairy door, steps and mailbox were given for the purpose of this review. No monetary compensation was given. On Day 4, we took the HSR (High Speed Rail) to Taichung. It was an hour ride from Taipei main station. Moving from hotel to hotel has always been challenging for us. 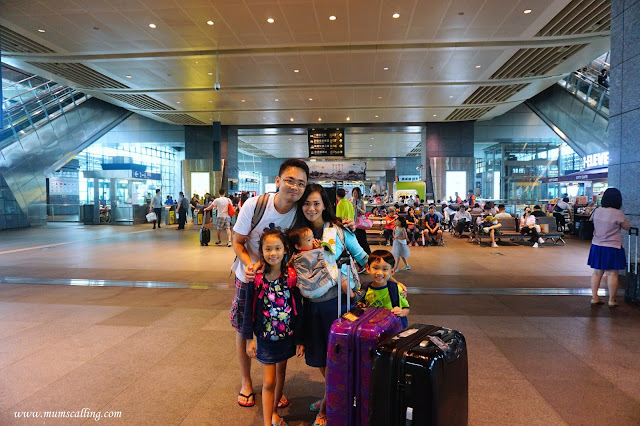 Apart from 3 kids, we had 2 luggages along. Traveled light at its best. 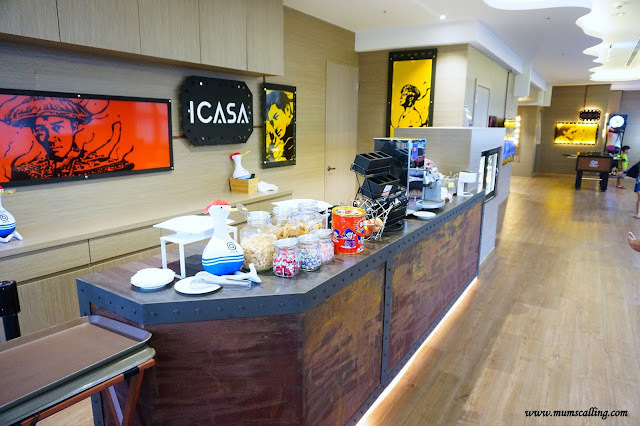 Upon arriving, we took a cab to our hotel, ICASA. I would highly recommend this hotel. Great for families with kids and excellent location. It was also walking distance to the night market, Feng Jia (逢甲夜市). About a 10 minutes walk. With attempts to introduce nostalgic feel, we spotted these displays at different levels of the hotel. 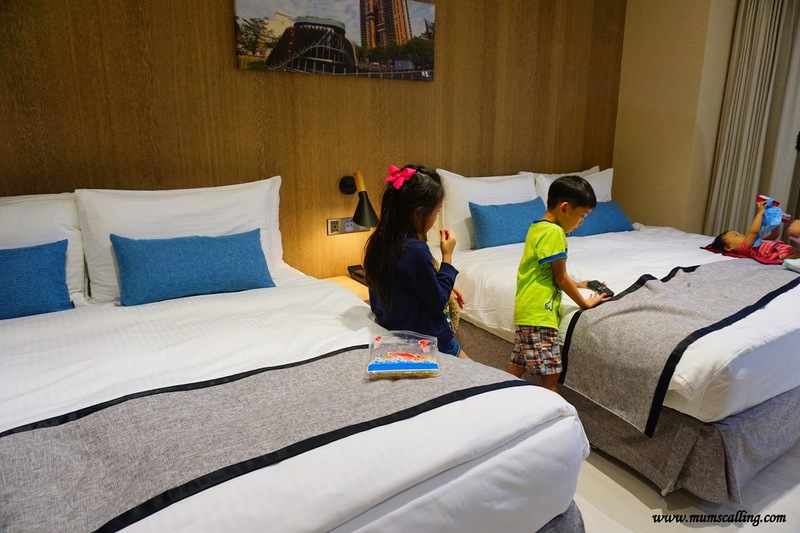 For coming in as a big family, we booked the Grand Deluxe Quad Family Room. 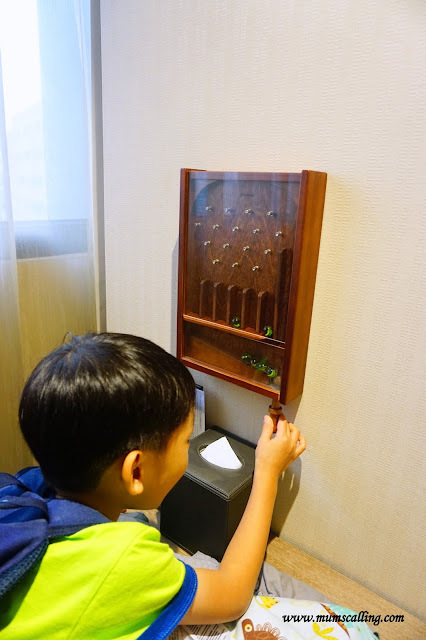 Kids loved playing with this nostalgic marble pin ball game on the wall. 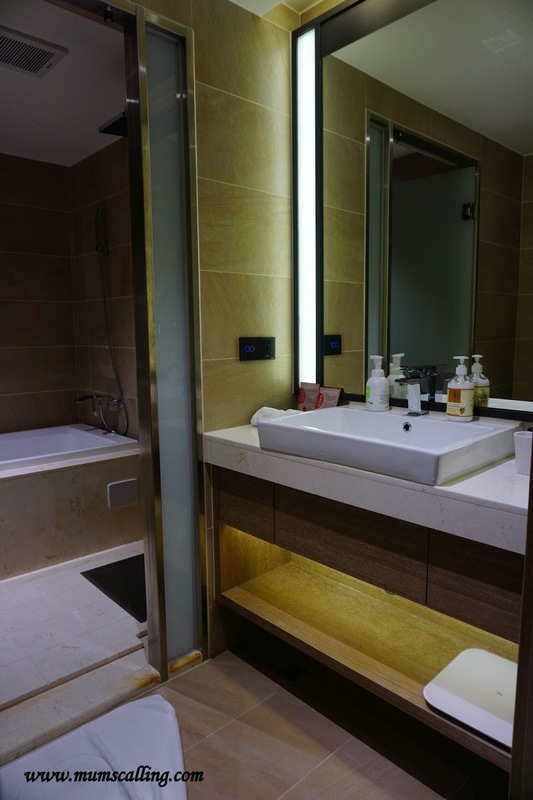 We love that the WC and hand wash basin are separated from the Shower. 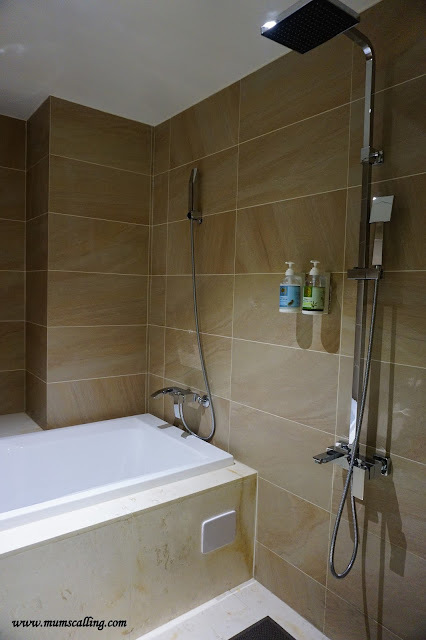 And the standing shower made it easy for me to shower the toddler. 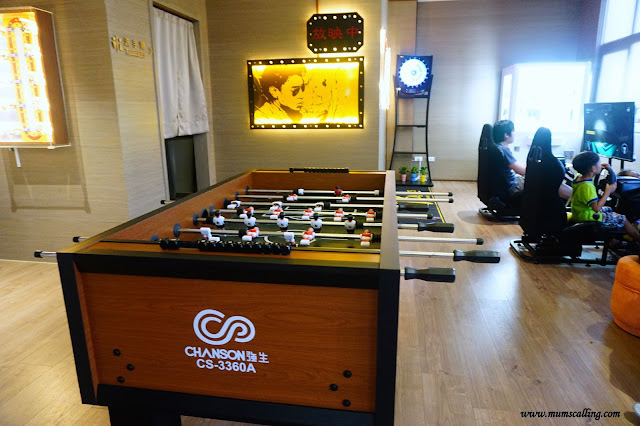 On the top level (Rooftop), there is a lounge for their hotel guests to enjoy free food and games. The drinks, snacks and fruits are of self help. However, the fruits often get wiped out before it gets replenished. 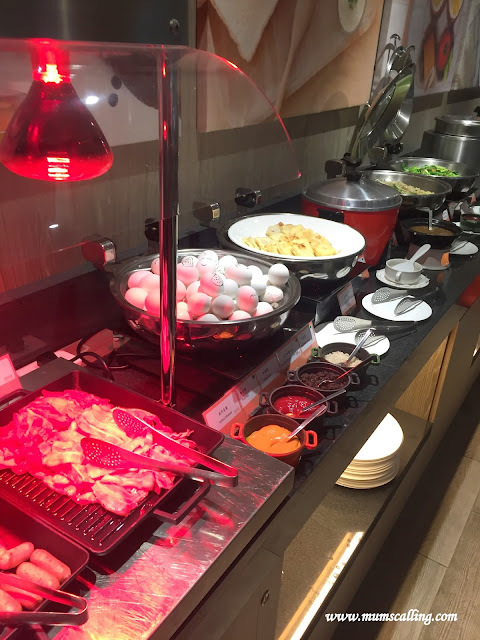 And yes, our booking came with free breakfast too! It was a decent spread of both Asian and Western mix. 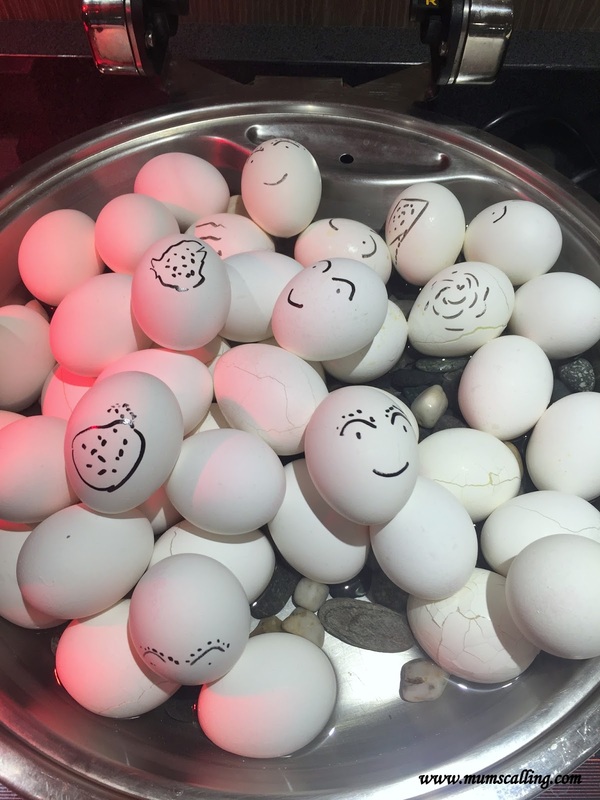 And the friendly eggs that greeted us in the morning. Obviously, after so much fun playing and exploring within the hotel, our only call to get out was when it's time for dinner! 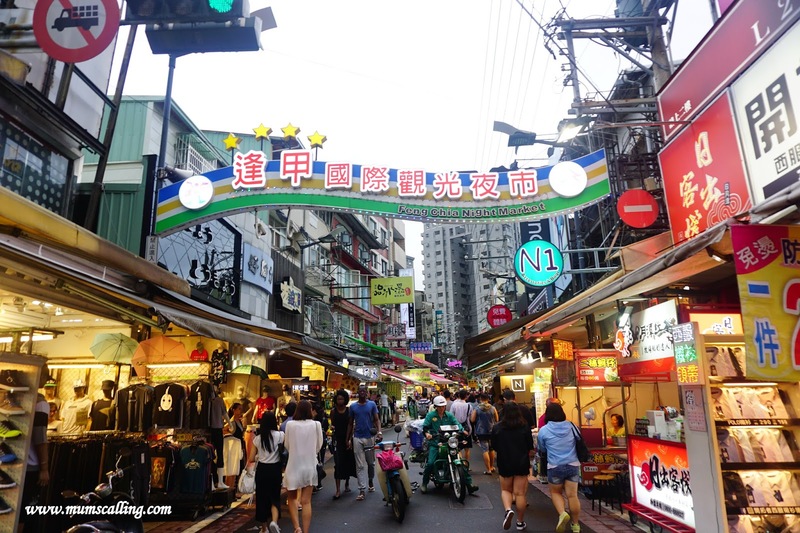 We strolled over to Feng Jia night market, Taichung largest and most popular night market. It was still raining. Day 4, and we've not been greeted by a sunny day. It's a good place to do whatever shopping you need in here. There are clothing, phone accessories and toy shops. Needless to say, food! If you've been shopping in Taipei, you may have realised shopping is much cheaper in Taichung. Naturally, this was where I did most shopping. 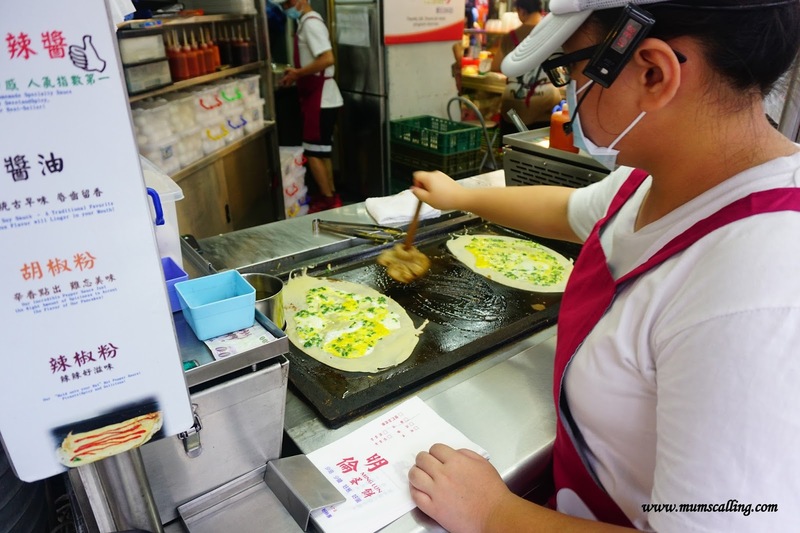 If you love spring onions, this is one stall that you will love. It was also because of this stall, that my kids started enjoying some spring onions in their dishes. 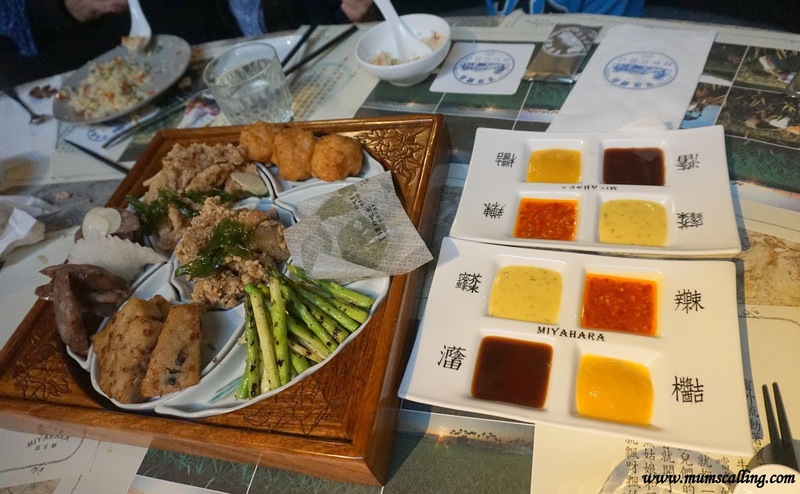 We had the savoury one, with soy sauce. Not too bad. As this is a popular store, they are more systematic with the order. Simply place your order, get a number and wait for it to be called. They work pretty fast, so the wait isn't too long. And we kept moving in for more food options. 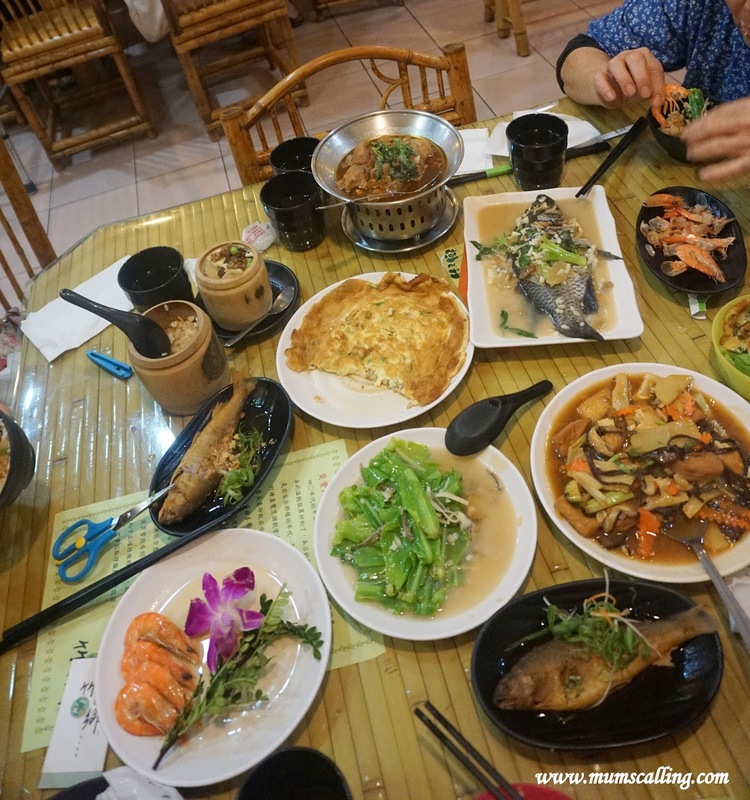 I really had no idea what we ate for dinner, but getting small bites here and there kept us all filled. And this is interesting, 懒人虾. Named simply because we don't have to remove its shell to eat. 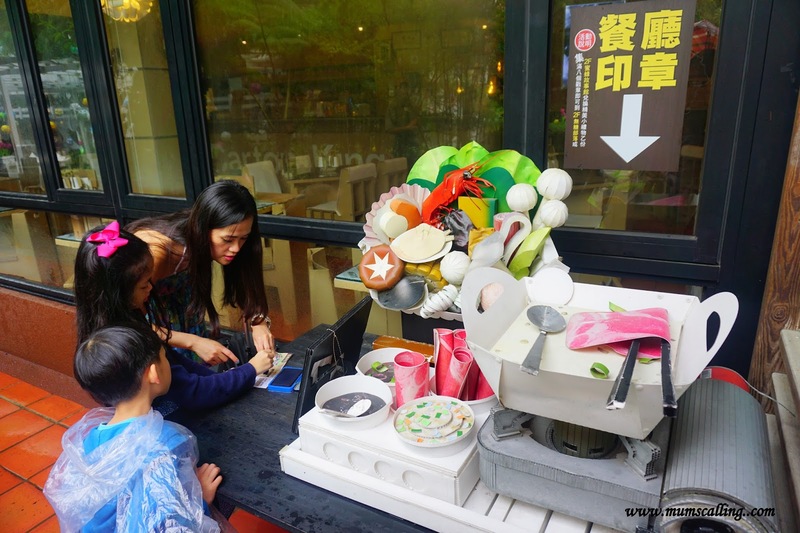 Truly for lazy eaters where every part of it is edible! And it actually is quite good tasting! Only needed to convince the kids that the shell is edible for this 懒人虾. See what I meant by persistent rain. 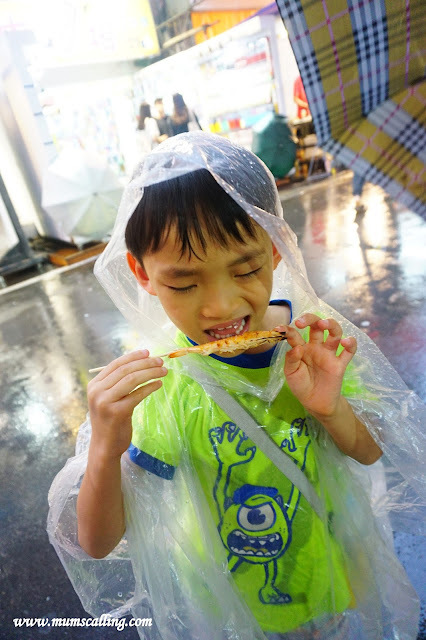 Raincoats are the best for kids when raining in night markets. And it's sweet potato balls for us again. 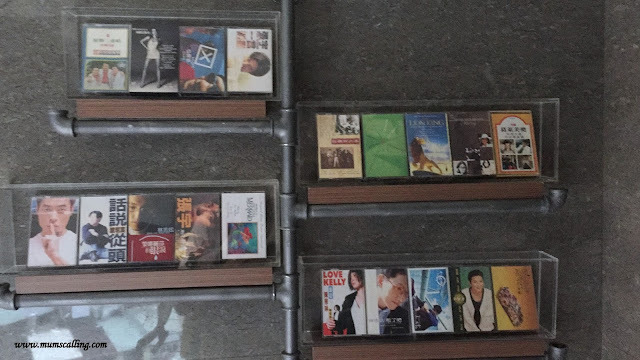 Those from this stall are the best! They are really really good! We went back thrice because we finished them just too quickly and needed more. Even the toddler loves it. Pardon my pictures, there was queue and rain and kids. It was challenging to get them right and nice. You get the stall sign at least. Look out for it! 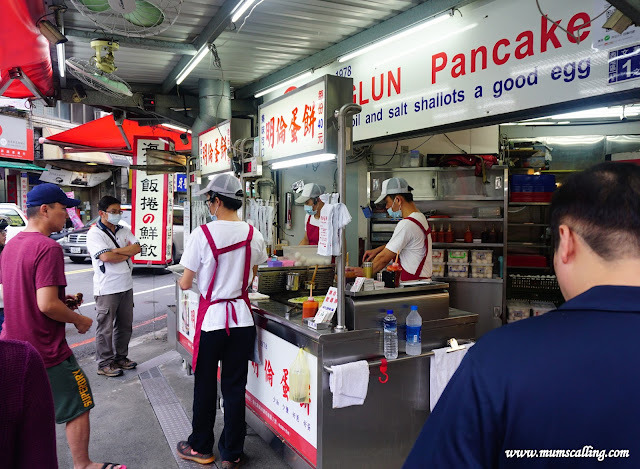 Smelly beancurd is good too, if you dare a try. It's our man's favourite. 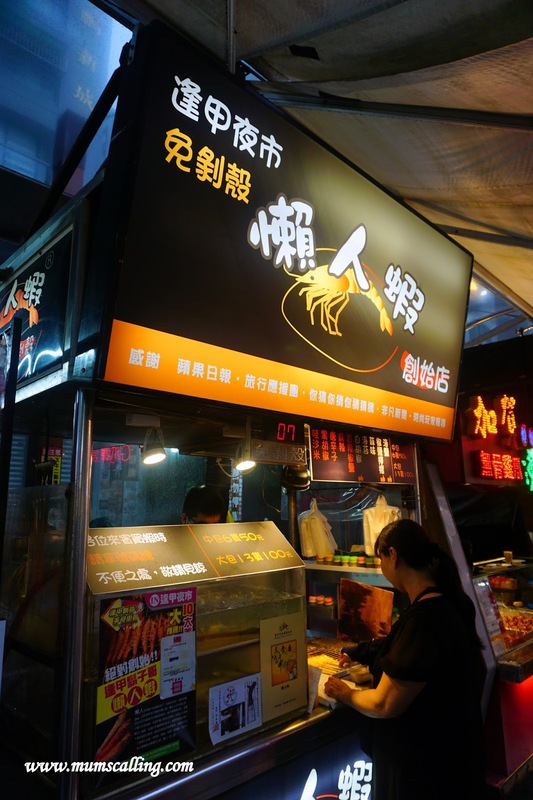 And this bear paw bun (熊掌) was good too! Sorry, missed out taking the shop's name. But there's only 1 in there. 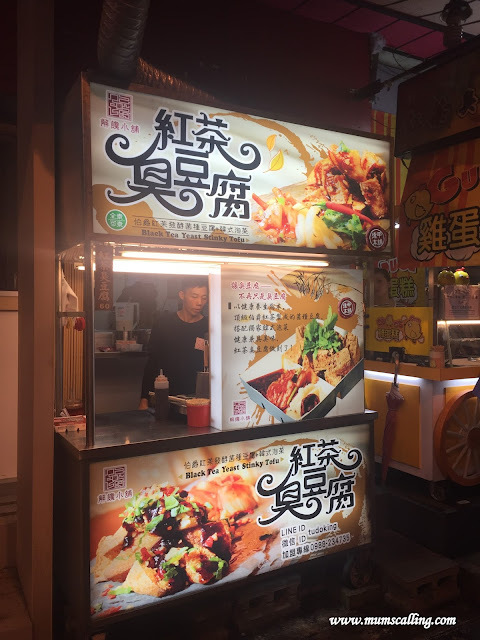 It's not a mobile stall, but one of the small restaurant within. With dine in options. 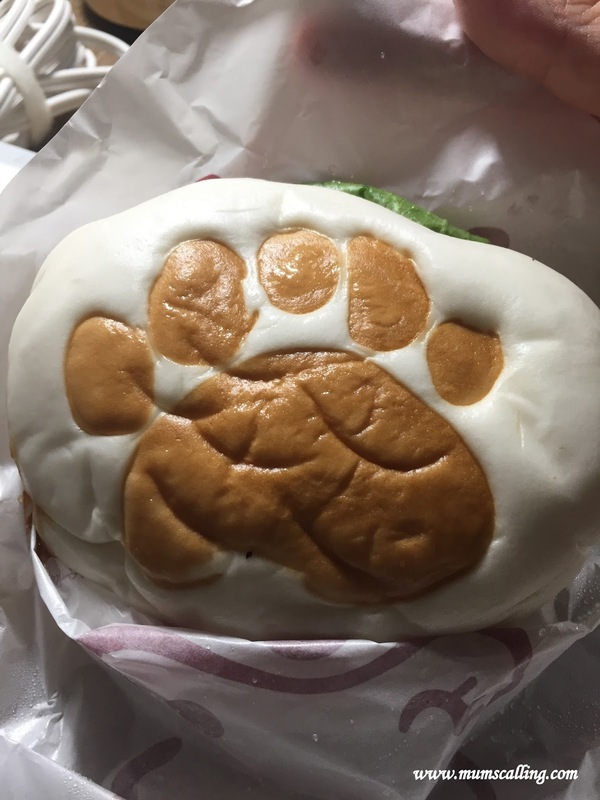 I ordered the milk bun paw and did a take out. This picture was supper, taken in the hotel room. Feng Jia night market is huge, with a portion of sheltered and non-sheltered walk areas. It didn't really dampen us much with sheltered areas to walk, shop and eat. And yes, there's public toilet in here too. And I did feed the kids proper dinner. Not the small bites from stalls. We settled dinner at a ramen stall within the sheltered shop area. Don't ask me about the taste, we weren't in Japan after all. Dined there simply to fill the kids who have easily contented taste buds. It took us about 3 hours to cover a big part of the market. We didn't manage to complete it.